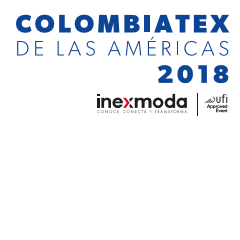 The 30th edition of Colombiatex de las Américas will take place at Plaza Mayor, Medellín, Colombia during January 23-25, 2018. The tradeshow is celebrating its 30th anniversary, a milestone which has empowered the Textile-Garment sector of the region creating business opportunities, offering places for interaction, business, fashion, and knowledge and achieving lasting commercial relationships. The continuity of the tradeshow for 30 years has showed the Industry’s weight on the continent, not only for the economy, but also for social and cultural empowerment. 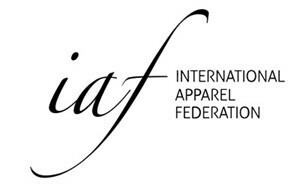 The most important commercial showcase of the Textile-Garment sector of Latin America in regards to textiles, specialized solutions, supplies, chemicals, and machinery, will gather more than 550 national and international exhibitors. With close to 15,800 buyers from approximately 60 countries of the world and more than 22,000 visitors, the Trade Show will be a time of meeting for other audiences such as entrepreneurs, producers, marketers, managers of design, marketing, and the complete value chain of retail companies, students, renowned Colombian designers, and important communication media.